With so many different ways to tell stories, I created this checklist of questions to keep things organized. The list is a work in progress — often more aspirational than actual. What visuals would make this an exciting story to see? Would this need a photographer? Who can I brainstorm with? Any cool graphic, data or interactive ideas? Who can I brainstorm with? Are there easy tools to help me build it myself? Should this go in the Parallels blog? Other NPR blogs? Does this fit into any radio series or branded programming? When am I going to write the web copy? When should I file? What are my deadlines for all components? Is there a callout or preview or public conversation with sources (even thanks for interviews) for NPR social media during reporting or in run-up to publishing? If so, when should it go out? On which platforms? Can I do these all at once or do I need more than one visit? Should I focus first on writing the web text or making the radio? What’s my Twitter quote or fact? When should that go up? Who can I tweet at when the story is done (with the link)? When should I do that? What’s my Facebook / Instagram extra — photo, question or backstory? When is it going up? Is there an audio clip (that made it in to the story or not) I can share on social media? What’s my pitch to NPR social? Who do I contact and how? Who do I need to share a link with? Who else can I share a link with? 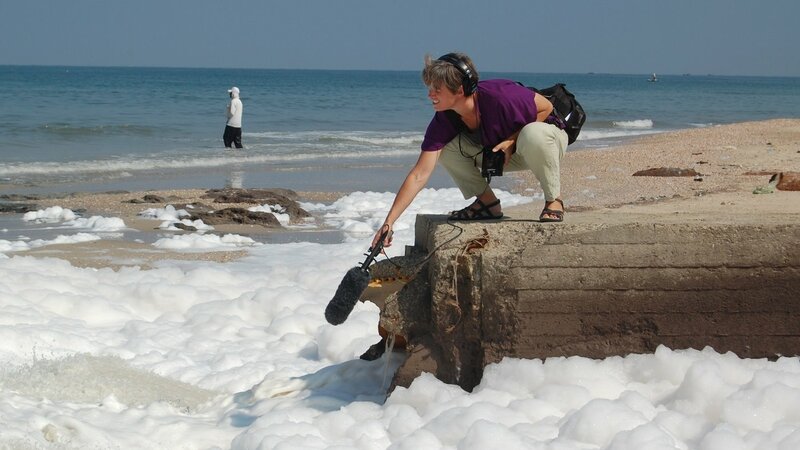 Emily Harris is a former NPR International Correspondent.